There are many places in the metropolis on the River Main where one is able to take some rest while enjoying the myriad pleasures of the city’s coffee scene. 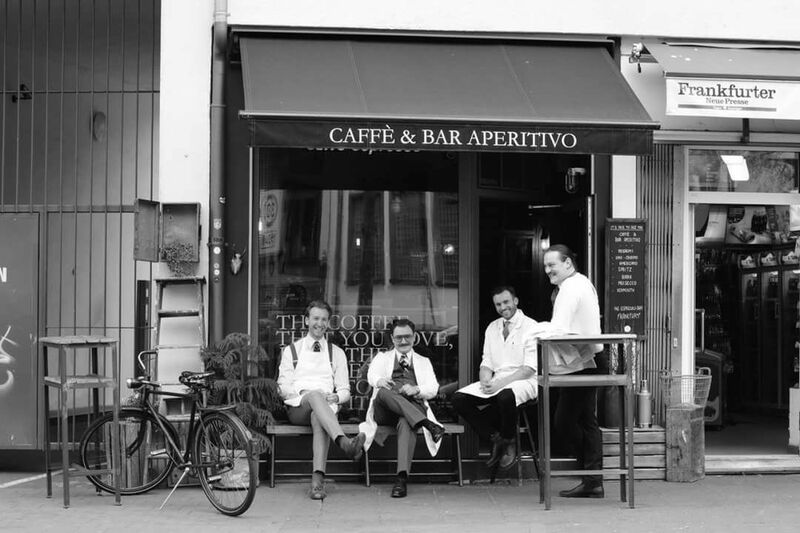 Frankfurt’s coffeehouses are as diversified as the city itself. Here, the coffee culture is traditional, international, original and experimental! And yet, the city’s caffeine bars also have one particularly important thing in common: their high degree of quality. A popular German-language culinary magazine by the name of “Feinschmecker”recently rated 525 of Germany’s best places to enjoy coffee and cake. Unsurprisingly, Frankfurt fared very well in this national comparison. The family business of Luise Wacker has been offering its coffee creations for more than a century. The time-honored establishment is also known to have been Frankfurt’s very first coffeehouse. It’s no wonder then that this small café is a true Frankfurt institution, a traditional coffee shop looking back on a long and storied past. What’s more,Wackers Café is famous far beyond Frankfurt’s city limits. Featuring its very own roasting house, it produces more than 40 different coffee and espresso variations. The establishment also places great value on the “fair trade” philosophy when purchasing coffee beans. Kaffeerösterei Wissmüller is yet another time-honored Frankfurt roasting house. 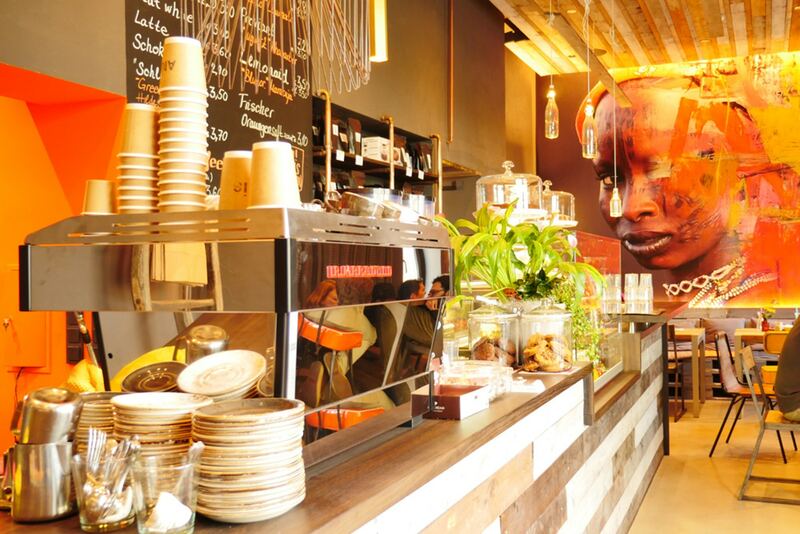 Located in the heart of Leipziger Straße, a popular Frankfurt shopping street is a rustic café known as Stern. It is very nostalgic in style, featuring coffee dispensers, a large set of traditional coffee scales and an old coffee grinder. Customers sit at small tables that have old coffee sacks as tablecloths. During summer, the picturesque inner courtyard is a popular place for enjoying a freshly brewed cup of coffee. Surrounded by unusual coffee variations and confectioneries, guests of Glückskaffee have plenty of unique specialities to choose from. The highlights of the coffeehouse, owner-operated by Martina Rönn, are the two proprietary coffee blends and the “wild coffee”, the so-called “kaffa”. This coffee variation grows outside on trees and is picked by the growers themselves. Other popular delicacies include “bacci”, an Italian-style chocolate and hazelnut kiss, almond biscuits, tartufo, pistachio biscuits and much more. Nearby, at Naschmarkt am Dom, customers are given the chance to escape the hustle and bustle of the big city. On the café’s ground floor, guests sit on traditional, Viennese-style coffeehouse chairs. On the top floor, things are even cosier, with the clientele relaxing on comfortable French armchairs. The establishment’s garden exudes a Mediterranean atmosphere in the style of the Côte d’Azure. Regardless of where one sits, visitors are served only the best that Frankfurt’s coffee culture has to offer – from traditional Italian espresso to the Naschmarkt special, coffee with cream, the famous Frankfurt Crown Cake liqueur and brittle. Americano, affogato, cortado and chai latte are of course also part of the menu. Having entered The Espresso Bar, one immediately feels transported back in time. The interior is designed with careful attention to detail, and the busy baristas make guests feel as if they’re back in the 1920s. Here, perfection and culinary pleasure are top priority, which is why the café offers only a small but very good selection of coffees. Homemade pies and pastries are also available, including the Portuguese specialty, pastel de nata. Aniis, meanwhile, is a hidden gem situated in Frankfurt’s East End district, just a few short steps from the new European Central Bank building. Guests will find it to be a cosy café exuding African flair. Whether you prefer a latte macchiato, a cappuccino or one of the many “dripped coffee” variations, your taste buds are guaranteed a treat. There’s also outdoor seating for alfresco breakfasts or a homemade lunchtime snack. The Moroccan-style cuisine on offer includes plenty of vegan dishes and tries to do without meat wherever possible. IIMORI Patisserie takes French and Japanese delicacies and blends them into a delectable selection of sweet treats. Those who like unusual products will feel right at home here. The patisserie’s bakehouse is particularly well known for its exotic cakes, tarts and pies. IIMORI naturally also has a number of green tea-flavored delicacies, as well as an excellent selection of tea and coffee specialties. The stylish patisserie features an aesthetic blend of designer furniture. Café im Liebieghaus is an idyllic and highly cultured place where people with a penchant for art come to enjoy a brief respite. The café’s interior impresses with a cosy fireplace lounge, mediaeval-style arches and winged chairs set before a warm hearth. The beautiful Italian-style inner courtyard belonging to the museum café is another excellent place to spend a few quiet moments. Menu favourites include the wonderful cakes and the many quiche varieties. 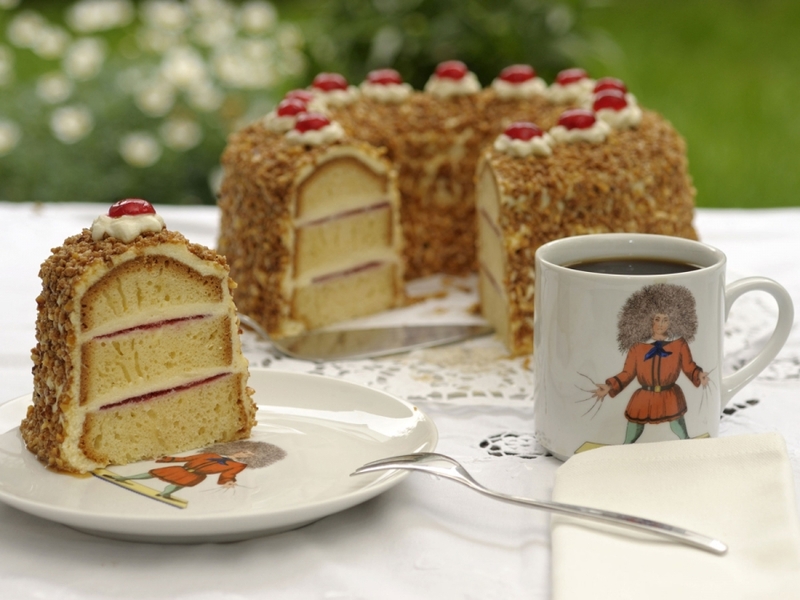 Tip: Maximise your coffee experience with a slice or two of Frankfurt’s most popular confection, Frankfurt Crown Cake, which consists of alternating layers of biscuits rings, buttercream and redcurrant jelly. Once completed, the cake is garnished with brittle and decorated with cream roses and cocktail cherries.